Five people are dead and eight injured after a shooting at the baggage claim area of Terminal B at Fort Lauderdale-Hollywood International Airport (FLL). Law enforcement sources say the suspect, who flew to Florida from Alaska, had a firearm in his checked baggage and had declared the firearm. Witnesses told CNN that, when he arrived at the airport, he retrieved his bag at baggage claim, he took out the gun and started firing. One source said he went to the bathroom to get the gun out of his luggage and emerged firing. Broward County Sheriff Steve Israel said the gunman likely acted alone, and that it was too early to determine a motive. The Federal Aviation Administration has issued a nationwide groundstop for traffic through Fort Lauderdale, meaning major disruptions to and from that south Florida airport. Atlanta-headquartered Delta Air Lines (NYSE:DAL), one of several U.S. carriers that serve FLL, expects disruption to continue for at least the remainder of the day and has diverted six FLL-bound flights to Palm Beach International Airport (PBI), Miami International Airport (MIA), Orlando International Airport (MCO) and Jacksonville International Airport (JAX). Delta alone has cancelled 14 of its flights. 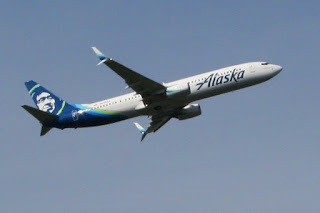 Other carriers that serve FLL include jetBlue (NASDAQ:JBLU), Silver Airways, Southwest Airlines (NYSE:LUV), Alaska Airlines (NYSE:ALK), Frontier Airlines, American Airlines (NASDAQ:AAL), Spirit Airlines (NASDAQ:SAVE), United Airlines (NYSE:UAL), and Virgin America. Delta has issued a waiver for customers traveling to or from Fort Lauderdale to change their travel plans free of penalty, and the airline is working to re-accommodate customers. Other airlines may be offering similar accommodations. Travelers heading to or from FLL should contact their airline for details.